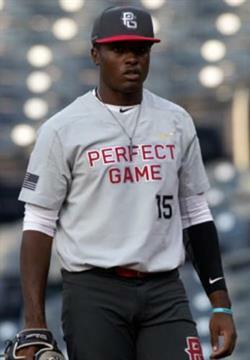 John Malcom is a 2018 1B/OF with a 6-4 217 lb. frame from West Bloomfield, MI who attends Detroit Country Day HS. Big and strong athletic build, broad shoulders, looks the part of the top prospect. Left handed hitter, hits from an open stance with a good lower half load and shift, occasionally drifts out front, has outstanding bat speed when everything is in sync, big power potential, has made adjustments over the last year to use the entire field more often. 6.87 runner, very athletic around the bag defensively, very smooth with soft hands and advanced balance. 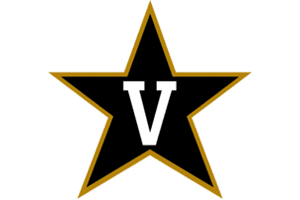 Verbal commitment to Vanderbilt. Selected for the 2017 Perfect Game All-American Classic.